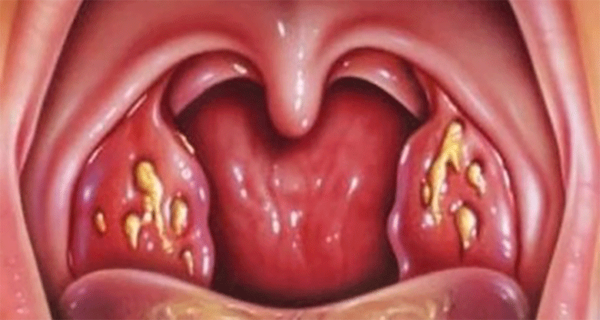 Home » Health » How To Get Rid Of Tonsillitis And Sore Throat in Only Few Hours! Sore throat and tonsillitis make swallowing impossible, and being unable to enjoy your favorite meal can be really frustrating. Drops and syrups promise an instant relief, but things are not that bright. Consider switching to natural remedies, and we have a good one for you. It is an old, traditional recipe that relieves sore throat within 4 hours. It is a nice remedy to have on hand in cold, winter days. Open your hands towards nature, and use its goods in service of your health. Boil 200ml / 6.5 oz of water and 80 grams/ 3 oz of ground cumin in a saucepan. Turn the gas off after 15 minutes. You should get a thick mixture that resembles coffee grounds. Strain and add additional 50 ml / 1.7 oz of water. Bring the liquid to a boil, then take your saucepan off the heat. Add a tablespoon of any hard liquor, cognac, whiskey or brandy, and you are done. Take a tablespoon of your remedy every half an hour. You should feel better within 2 hours. After a few hours, your symptoms should be completely gone, and you will be able to eat without any trouble. In cases of severe tonsillitis, use the remedy until you notice major improvement. This recipe works well for patients with sore throat and chronic tonsillitis. If your condition is slightly specific, make sure you consult your doctor.